24+ Seeds. Don't let the delicate looking flowers fool you - these are TOUGH plants! 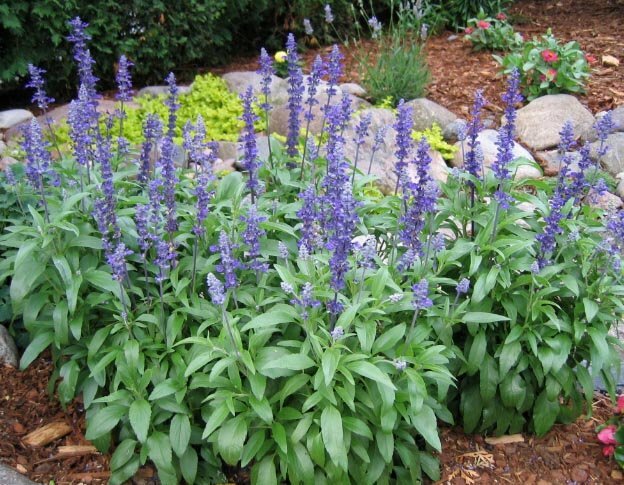 Like all Sage (Salvia), they prefer full sun and fairly dry conditions. Oh, and did I mention the hummingbirds and butterflies also love them? The rich color of these really POPS in the garden - although called 'blue', they are really more of a deep purple color. They really make an impact planted in a group! 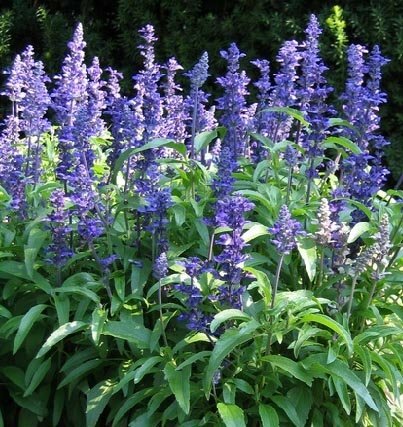 24+ Seeds for Salvia / Sage (Salvia Farinacea) VICTORIA BLUE (aka: Mealy Cup Sage, Mealycup Sage). 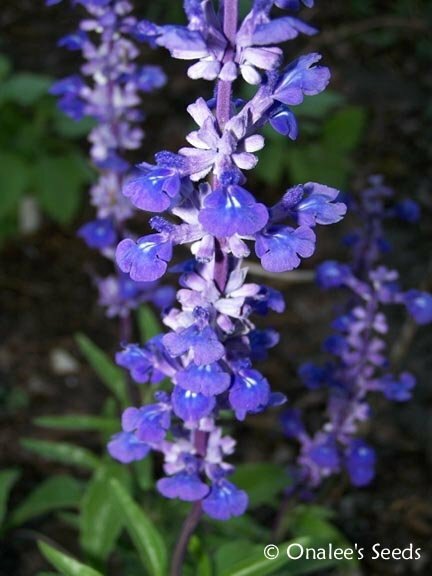 Although named 'blue', they are actually a rich purple color which really POPS in the garden! Especially lovely when planted in groups.